Jess Reeves’ research revolves around past climates and environments. In particular, she is passionate about the interplay between humans and their environment through time – including recent industrial pollution and long-term human modification of landscapes. She teaches and conducts research at the Gippsland Campus of Federation University Australia. Jess is the co-chair of the Impact Ecology Research Theme within the Faculty of Science and Technology and on the steering committee of the Dynamic Landscapes research Priority Area. Jess has recently moved to the Churchill from Ballarat, however she has been undertaking research on the Gippsland Lakes over the past three years. She is also an active member of the Australasian Quaternary Association and SHAPE (Southern Hemisphere Assessment of PalaeoEnvironments). 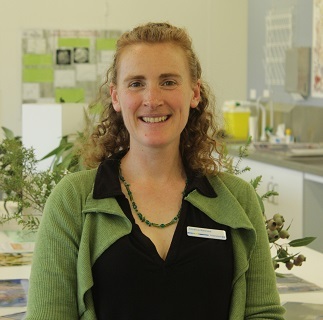 Jess graduated with a PhD in Earth and Environmental Sciences from the University of Wollongong after completing a Bachelor of Science with Honours at the University of Melbourne. She undertook a Post-Doctoral fellowship position at the Australian National University looking at the distribution of stygofauna in the Pilbara (2004-6), before moving to a part-time Research Associate role at RMIT University (2006-2011), whilst her children were small. Jess commenced a full-time lecturing and research role at The University of Ballarat in 2012 and moved to the Gippsland Campus in 2017.